January | 2017 | Welcome to my world!! 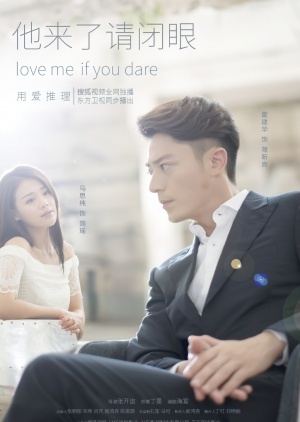 The Drama is about Jian Yao who takes on a job as the assistant for the criminal psychologist Simon Bo. He only takes on the most violent crimes involving sereal killers. What happens along in the show is that, Simon who helped America catch one of their most violent serial killer slowly starts to realise that through the crimes he and Jian Yao is solving, someone is actually trying to communicate with him. Of course you can’t have a drama without a little romance, and of course this drama is no different from the rest, for everyone who is used to watch asian dramas it’s pretty obvious who is going to fall in love with who. what I really like about the drama is that it’s a good mix between romance and crime. Normally I mostly like Romance dramas. I like that there Is a read line through the whole drama, there is different crimes that gets solved over one or two episodes, well this is mostly in the beginning og the drama, but even with these different crime stories, there is also one big crime story in the back, the one that evolves around Simon Bo. But if I have to say one thing I don’t like about the drama, it will be that, when the chinese characters in the drama is talking to the american characters, that talk in chinese while the americans speak english, well I’m not complaining i always think it sounds funny when either one try to speak in each others language, but maybe a subtle explanation to why they can understand each other, I just found it really funny in the beginning, later on you get used to it. But I think that is the only thing that bothers me about it….so my conclusion is that it’s a really good drama, a plus for me is also that it’s not to long, 24 episodes for me is a good number of episodes, not to little and not to many.